“Empowering humanity, one human at a time”. Coinmama, being a financial service which enables users to experience a faster, secure and an interactive way to purchase cryptocurrency on an international level. 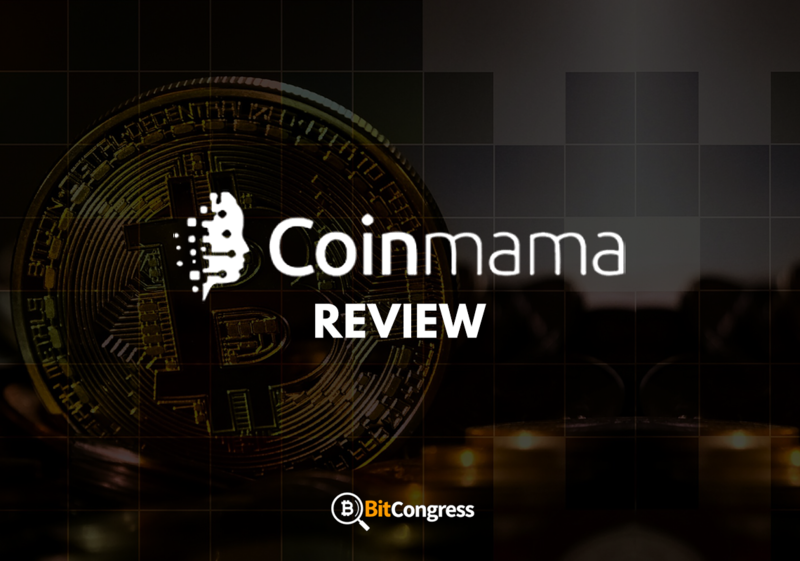 In this Coinmama review, we will look at the aspects of Coinmama, and figure out it if is a great fit for you. Hoping solely on the belief where the future insight of money is controlled none other than the people themselves in an appropriate manner. Which includes banning of the terms “middlemen, fine print and hidden fees”. Creating a world with no language barriers with effective customer service which users can understand and depend on. Sign up for Coinmama here! A cryptocurrency exchange that was formed in 2013 wherein it was registered in Slovakia but owned by New Bit Ventures Limited in which the headquarters are based in Israel. Operations are based in 217 countries worldwide and currently found in 24 US states. Users can purchase Bitcoin and Ethereum using debit and credit cards or even through Western Union. However, it is to be noted that Coinmama does not permit users to sell or trade in cryptocurrencies instead all the purchases being made by the users are sent/transferred from the company’s own capital and assets thus enable the transactions to be more stable and immovable than its competitors. Coinmama exclaims to stand out as one of the quickest and uncomplicated methods to buy bitcoins or Ethereum with either a debit or credit card. This is unique as most exchanges do not offer such a feature. How do we purchase Bitcoin on Coinmama? Coinmama is only displayed as a website although with no mobile application available. Furthermore, Coinmama has not released an Application Program Interface (API) which enables users to generate trade applications which are in par or congruent with the platform. Besides its worldwide availability, one of the most intriguing and engaging features which Coinmama provides to the users is having the opportunity to acquire up till $/€150 of cryptocurrency without providing any confidential information which verifies their identities. This is not available amongst many other competitors. Maximum file size should be of 4MB. All documents being sent to Coinmama for verification will be processed within few hours during business hours and with extended processing times during evenings and weekends. Although, Coinmama will ensure their customer service staff will enable quick processing that will aid users with their verifications. Verifications at an initial stage will generally take less than 10 minutes. After this stage, users will be able to proceed to be able to purchase cryptocurrency immediately in which the deliveries of the orders will happen in few minutes after the order is being placed. This will enable users to take advantage of the moving price movements. You won’t be stuck not being able to order when the market is bull. 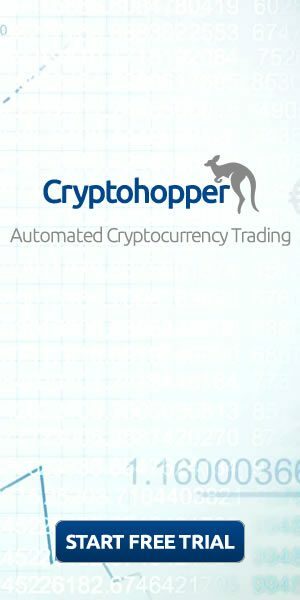 Once orders are being taken in, the exchange rate during the time when the purchase occurred will be locked in which interprets that the users will obtain the same amount of cryptocurrency that they ordered irrespective of any variations which may occur between the time of order and the time of delivery of the cryptocurrency. As research from developer states, the main reason for this would be the skepticism and misconception created when the orders were fixed to the market rate, typically when consumers attain less currency than expected. If there was a chance of the order being canceled, the Coinmama system will then automatically cancel the transaction and refund the amount back to the user’s bank account. Choose the amount of Bitcoin wishing to purchase and click “Buy now”. Fill in the form regarding payment eg: either cash or Western Union. Once received and verified by Coinmama, coins will be delivered to the respected wallet. In order to purchase Bitcoin using credit or debit cards, Coinmama will not require users to register through their debit or credit cards in order to buy cryptocurrency on the exchange but rather To purchase Bitcoin using credit or debit cards, Coinmama doesn’t require users to register their credit or debit card in order to purchase cryptocurrency on the exchange. Alternatively, the procedure states that once users have inscribed irrespective of whether or not they are being verified of their identity, they will proceed to generate the order by selecting how much they would want to purchase, entering their wallet address and finally filling out the card details on the checkout page. It is to be noted that, if the users have already corroborated their identities, their credit card address must match their customer account address. Coinmama servers do not store customer’s credit or debit card details. After the payment has been completed, the transaction will then be processed through by the credit card processor with a maximum duration of 20 minutes before it is being transferred to the customer’s wallet. Once the confirmation of the payment and wallet address is set, the cryptocurrency will be transferred to the user. Users purchase a minimal amount of 60 USD (equivalent in EUR) on Coinmama, however, this will depend on the price of the Bitcoin (an effectual low purchase is whatever the registered price of 0.1 Bitcoin is). Despite other competitors, Coinmama does not offer an online wallet for users to store in their cryptocurrency on the exchange. Thus, once it is purchased, users will need to decide and create an appropriate wallet to send their amount once bought. Wallet addresses will need to be confirmed and in order to so, users will need to receive an email link from Coinmama in order to permit them to confirm the address is legit or not. Due to this validation protocol, users will not be able to buy cryptocurrency for, or on the behalf of others. Users who aim or who want to transfer currency to another person’s wallet should consider the protocol in order to do so through their own wallet provider. Comparing to Coinmama’s rivals, the transaction fees are relatively high with a 5.5% paid for each transaction paid to Coinmama. The fee rate will be already included in Bitcoin or Ethereum rate which is clearly displayed on Coinmama’s website. Furthermore, an additional 5% fee on each debit and credit card transaction will be charged. Users will receive the charge after they will choose the method of payment. In addition, depending on the financial institution if it would consider the transactions as a “cash” transaction, then the user would be charged a Cash Advance fee by their bank or card issuer. Research states that users should invest in an additional 10% in fees when making transactions through Coinmama. With Coinmama, users can take advantage of high buying limits, specifically speaking in terms of credit card transactions. Users who are being registered with Coinmama can buy up to $5,000 per day, in which, on a maximum limit of a monthly basis $20,000 per month. On a daily basis, limits last up to 24 hours till the limit is reached whereas a monthly limit is an accumulated sum of the previous 30 days.Currently, it displays pricing exchanges using USD and EUR but other currencies will be added in the near future. However, the platform will accept different orders in all the currencies wherein it should be noted that the exchange fees will be charged and applicable in currencies apart from USD or EUR. Level 2: This level enables users to pay up to 50,000 USD worth of cryptocurrency. For users to access the level, it is essential for users to provide two valid government-issued IDs, including documents such as a utility bill or a self-picture i.e: a selfie of the user with their ID being held as well. Level 3: This is the foremost level or stage of authorization and verification on Coinmama and gives access to users to purchase up to 1 million USD in cryptocurrency. Users can obtain this level of authorization by filling out a short form and send it to Coinmama via email using contact: [email protected] or by post. In addition, as transactions are processed via Western Union, Coinmama is known to be one of a kind sites where users are able to purchase cryptocurrency through “cash” deposits. Even though Coinmama remains proportionately small as an exchange in the live network and ecosystem of cryptocurrency, they are yet to gain exposure in any known cyber attacks and security breaches but steadily and slowly building up their market share and revenues. No matter how flamboyant it may sound, Coinmama seems to be below the competition as an average of 600,000 visitors visit per month however in comparison, Coinbase receives registrations of 34 million visits per month online while Poloniex attains a colossal amount of visits i.e 44 million visitors in the same time period. Coinmama has a connection established with The Financial Crimes Enforcement Network (FinCEN), where it has been registered as a money service business. 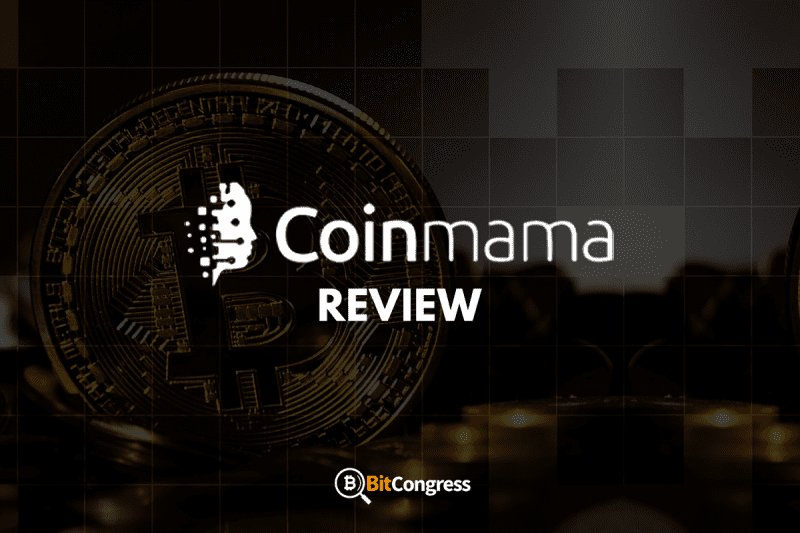 On the other hand, it is noted that Coinmama does not possess any cryptocurrency on the behalf of the users which makes it less prone to cyber and hacking attacks compared to other exchanges. However, it does keep data documentation of users’ credit card information, although Coinmama’s website states that credit and debit card information will not be saved on the exchange server. Customer support and an extensive list of FAQs can be approached via mail. Overall, mostly all cryptocurrency exchanges post web reviews of their users’ response tend to get mixed. However, it is made sure that it does not cause any issues as such with response times as most queries are being responded within 24 hours but long responses occur during the weekends or public holidays. Its standard business hours are from Sunday to Thursday – 11 pm to 7 am Pacific Time. Coinmama only permits users to buy orders only. Most of the exchanges allow users to trade/sell thus this platform’s efficacy in comparison to other exchanges is quite simple. Furthermore, Coinmama will not retain the currency once purchased thus, anytime the user wishes to sell his/her crypto, they would have to register with another exchange in order to do so. As it is known, Coinmama receives credit and debit card payments from most countries in the world, however it does not provide variety in other choices, with the incapacity to make wire or SEPA payments which, in the end, puts them behind in terms of competition with their rivals. Up till now, Coinmama only supports Bitcoin and Ethereum. In addition, developers have stated that they aim to add other cryptocurrencies in as well in the future, however, Coinmama shows little interest in pursuing immediate plans to achieve the dream in supporting other currencies. This is minute in terms of equities offered worldwide by other platforms. Example: Poloniex provides to the users over 70 different cryptocurrencies to trade with. Poloniex, for example, supports over 70 different cryptocurrencies. Coinmama also does not have a mobile application wherein it is unfortunate for users who wish to buy cryptocurrency quickly or on the go, and check other issues such as tracking balance. Comparing to the drawbacks, one of the prominent advantages of Coinmama is it makes sure users are influenced to set up a safe and secure digital wallet. Coinmama’s website is a strong patron of making sure that users do not leave their currencies on the exchange as it is prone to hackers and other cyber attacks in which it is a good option as the amount will reach the wallets of the users. As the cryptocurrency is not held on the basis of the user’s account or behalf, Coinmama is potent enough to enable users to be cautious and tighten their digital wallets (or purchase a hardware wallet as another option). Coinmama has a strong position or standing within the online community of cryptocurrency as a secure, reliable and candid broker. Although, when dealing with Coinmama, it may be expensive to trade and also not have all the additional features which other exchanges have what they do in terms of service, consumer ethics and trading safety is secure, reliable and efficient.